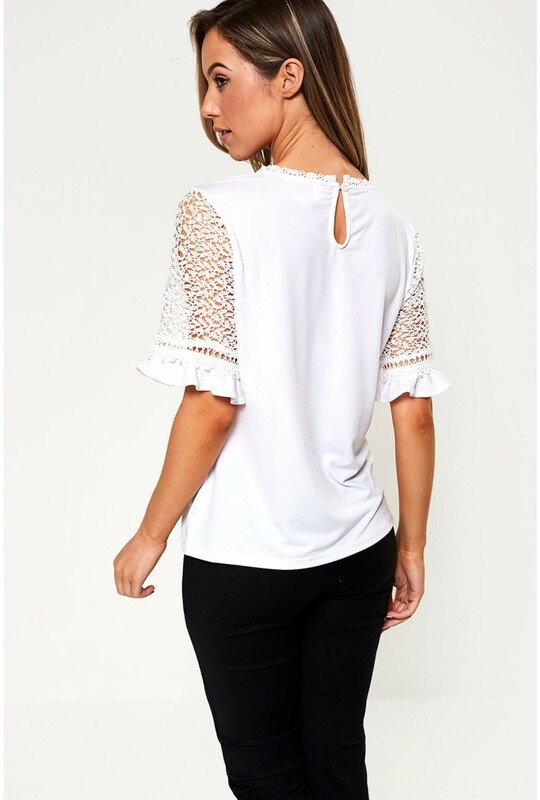 A classic white top is always a reliable option. 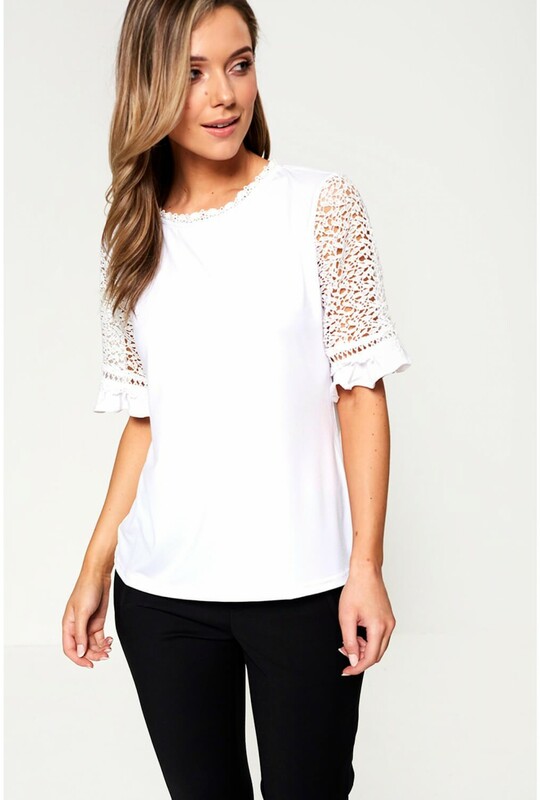 This latest arrival from Stella features short flared sleeves and lace detailing for a fashion forward statement. Team with a host of separates lineups from skirts, denims to tailored trousers.